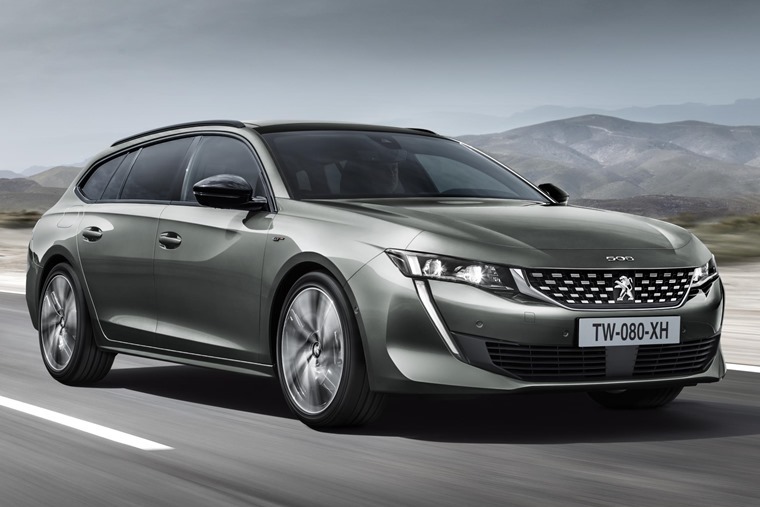 The Peugeot 508 SW has been revealed at the Paris Motor Show. Set to launch in the UK in January 2019, it joins the Fastback saloon variant and benefits from the same impressive new tech and sleek exterior. 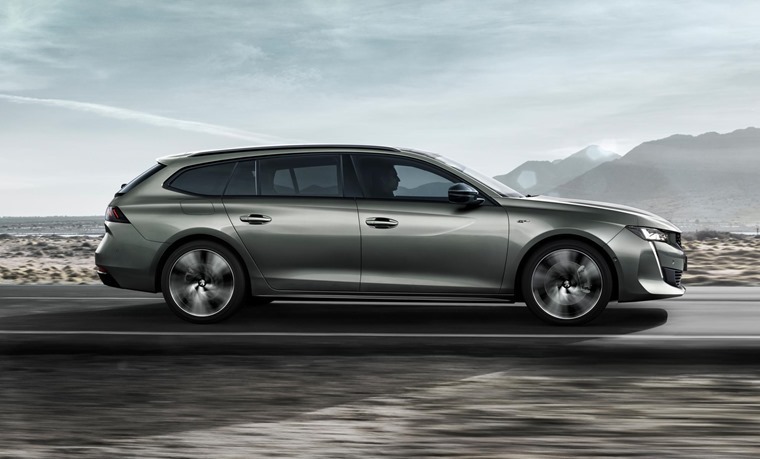 Peugeot predicts the estate will account for more than 60% of total 508 sales thanks to its added practicality. From the front of the car to the B-pillar, the SW is essentially the same car as the Fastback. There’s a thin set of headlights and grille that are flanked by daytime running lights that cut right down to the front air intake. Being an estate, of course, it doesn’t get quite the same rakish roofline the Fastback does, but courtesy of frameless doors and sweeping C-pillars, it has to be among the best-looking cars in this segment. It carries over the same striking tail lights as the Fastback, too. The 530-litre boot is actually slightly smaller than the outgoing model’s and, while it’s aiming to take on the Skoda Superb Estate, the boot is more than 100 litres smaller. With all the rear seats folded flat, you can increase load capacity to 1,780 litres. 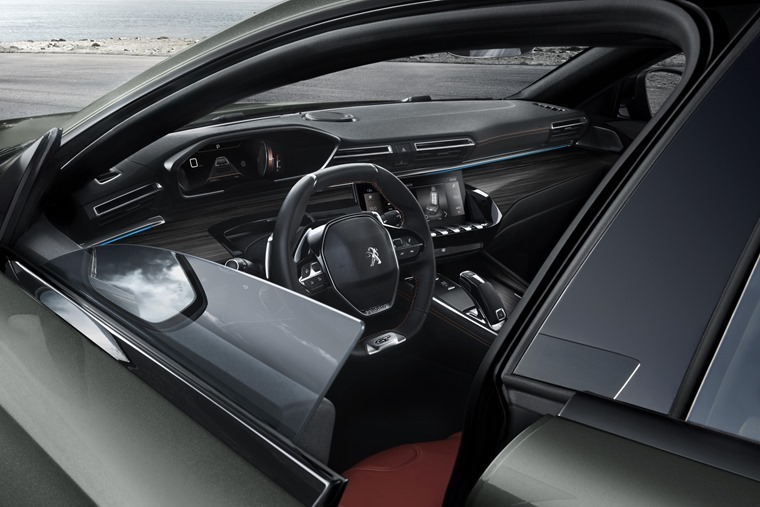 The interior is focused around Peugeot’s latest i-Cockpit system. A large 10in infotainment touchscreen is angled towards the driver, who will also find a vivid 12.3in head-up digital instrument panel ahead of them. Peugeot’s trademark small steering wheel is also present. 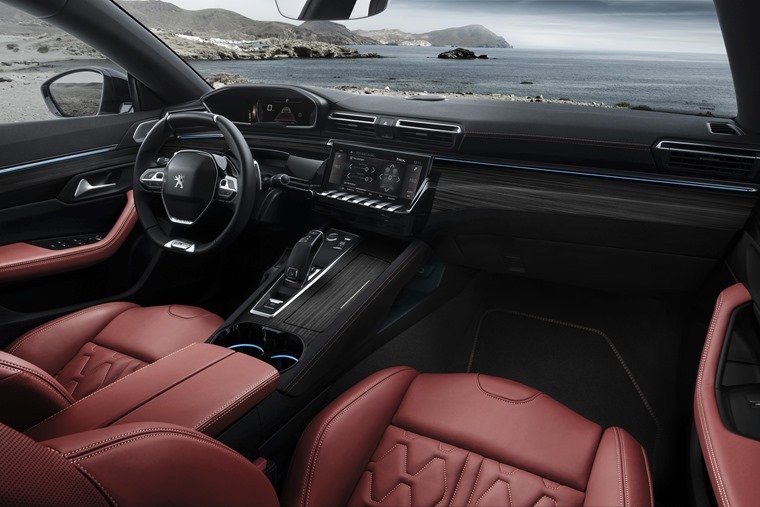 It would appear the new 508 is taking the lead of the 3008 and 5008 in terms of build quality; that’s to say a vast improvement compared to the outgoing 508.
i-Cockpit Amplify is set to feature, which enables the driver to choose between two levels of ambience – Boost and Relax. Driver assistance tech is set to include a night vision system which uses infrared cameras to detect pedestrians in cases of reduced visibility. A host of driver aids will feature too, including Adaptive Cruise Control, Lane Keep Assist and a Night Vision system. Peugeot says this is all to ensure the 508 is capable of meeting the latest Euro NCAP criteria. Engine options are comprised of two petrols and three diesels with the petrol line-up making use of a sole 1.6-litre PureTech unit available with either 178bhp or 222bhp. Diesel-wise, 1.5-litre and 2.0-litre units are available, that produce 127bhp and 178bhp respectively. We know that a plug-in hybrid will be joining the range next year too, and offers a claimed 32 miles of all-electric range. With the exception of the entry-level diesel, all models come standard as an eight-speed auto. 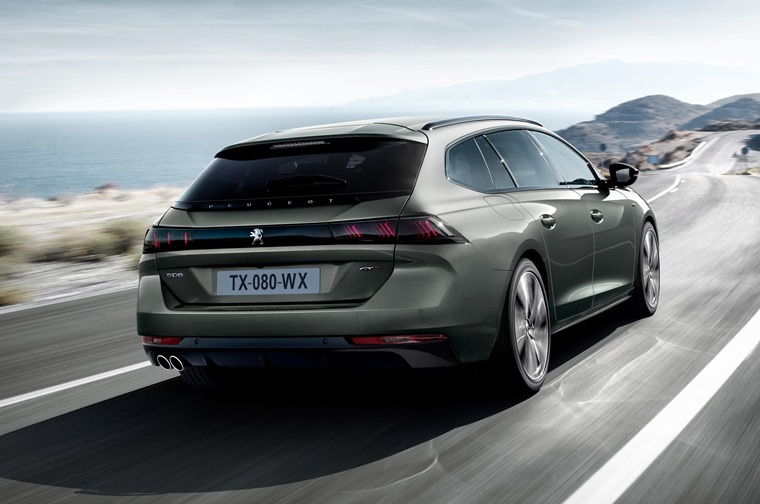 The new 508 SW will be available in the UK from January 2019. If you can’t wait until then, check out lease deals on the current 508 here, or why not consider the new 5008 instead?